4 Things Landlords and Property Owners Should Keep In Mind | Toronto Property Management Company - Mareka Properties (2000) Ltd.
Are you a prospective landlord and/or property owner looking to rent out your property? While renting out real estate may seem like an easy investment in hindsight, it’s important to understand that the role of a landlord comes with a great deal of responsibility, liability, and authority, too. Whether you’re thinking about renting out several units in a high-rise apartment, or simply want to rent out a townhouse, your list of responsibilities as a landlord is highly expansive and will likely become overwhelming if not carefully managed. Between finding the perfect tenant, to preparing a well-composed rental agreement, we believe that your job as a landlord is tough enough as it is. That’s why at Mareka, we offer affordable property management services in Toronto to help take the load of stress off of landlords and property owners like yourself. Enjoy the perks of being a landlord without the hassle when you work with us. The last thing any landlord wants is a problematic tenant in their unit; from not paying rent on time to disruptive and destructive behaviour, difficult tenants can cost you more than they’re paying for in the long run. That’s why we always recommend that landlords do background checks on any potential tenants. From pulling credit reports on applicants, to obtaining references from their prior landlords, requesting proof of employment and checking public records, we believe that landlords and property owners should always be well-informed about their potential tenants prior to signing a lease with them. Need help performing a background check? Part of the full suite of property management services offered by companies like Mareka is conducting a background check to ensure the quality of tenants and the security of your property. While oral lease agreements lasting less than a year may be legally valid, we recommend that landlords and property owners get everything in writing. From a completed application form (including information about their references, employers, contact information and nearest relative), to a signed rental agreement spelling out the terms of the tenant’s lease, written agreements can remove any unnecessary disputes which may arise. At the very least, the written lease with your tenant should include information about when their lease begins and ends, the due date and amount of rent to be paid, the manner of payment (cash, cheque, credit/debit card), rules of conduct, responsibilities for maintenance and repairs, as well as a section outlining how to notify the landlord of potential issues and/or required repairs. When renting out real estate to tenants, landlords should ensure that they have the means to complete any repairs that may arise. From reports of plumbing problems, roof leaks, compromised floors, and the loss of hot water and/or heat, it’s important to keep in mind that landlords are legally responsible to respond to their tenants promptly, ensuring that a habitable premise is provided. Not only are rental property owners required by law to provide tenants with a liveable place, maintaining the condition of your real estate can also yield numerous tax advantages for you. In fact, tax deductions are readily available for landlords who perform timely repairs for plumbing, gutters, downspouts, broken windows, in addition to any expenses used to repaint the interior and exterior of the unit. Maintain the condition of your rental property and reap the benefits for years to come. Enjoy all the perks of being a landlord without any of the hassle when you work with reputable and affordable property management companies like Mareka. 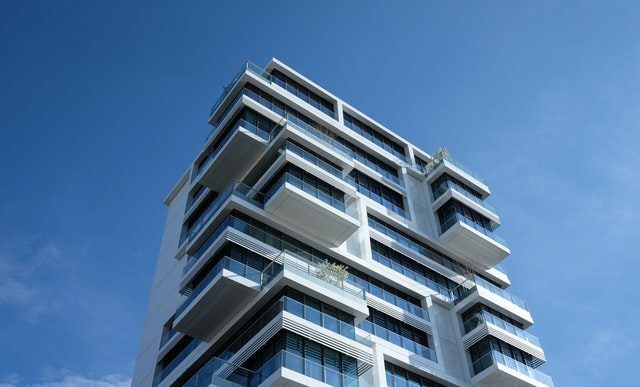 With over two decades of experience managing condominiums and other commercial properties in Toronto, we’ll take care of both your needs and the needs of your tenants. Whether you’re in need of assistance maintaining your property, screening potential applicants, or collecting timely payments from existing tenants, our staff at Mareka have the knowledge and experience to help. Ensure that you’re getting the most out of your real estate investment as a landlord or property owner when you work with Mareka — one of the most trusted and affordable property management companies in Toronto. Get in touch with our team today to learn more.